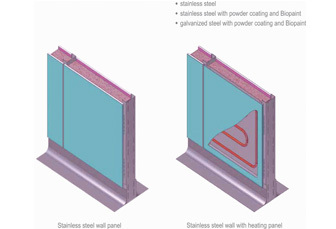 While deciding the wall and ceiling panel one has to also keep in mind how the panels would be constructed apart from the material they decide . 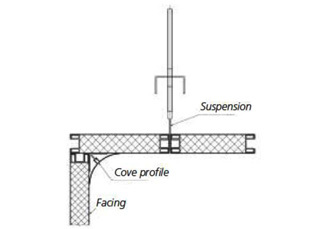 The construction procedure not only enhance the seamless and joint-less look inside the OR , but also clinically construction would be acceptable and it should hold a free standing cladding structure . 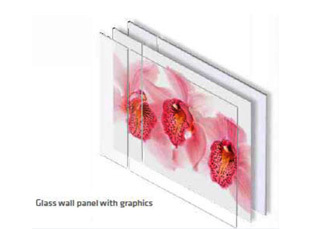 A Puff panel made with HPL – High Pressure Laminate (Impregnated Paper) , Stain Less Steel Puff of SS304 or SS316 or GI Sheet ( Pre Painted GI Puff ) are commonly used material . The same material can be used for Ceiling construction too . It is important and notable a cold place would need heater inside the panel construction to make the OR Room at a standard temperature. This needs a special design ability to deliver the clean room. Present Trend shows GLASS ( Special Tufted ) as a wall material with nicely pasted picture to break the monotony of the surgeon while performing a long surgical procedure. The system has been specifically designed for the anesthetists use in operating rooms. It consists of a pair of servers (equipment and fluid side), providing all medical gas and electrical services, and facilitating equipment management. The movable arm system allows it to be positioned at precisely where it is most convenient for the anesthetist. Modular design allows flexibility and convenience during upgrading. It can be configured to the exact requirements of each hospital. It is equipped with adjustable trays for placement of monitors while the rail system allows support of ancillary equipment. Drip stands are available to help relieve the frequent use of floor stands and trolleys in the OR. This greatly reduces the congestion normally seen in an OR where there are several trolleys around the OR table. Incoming gas and electrical services are from ceiling to servers. This reduces cable clutter and results in a safer and neater workplace for the medical team. "Off the floor"concept allows easy cleaning of floor area. 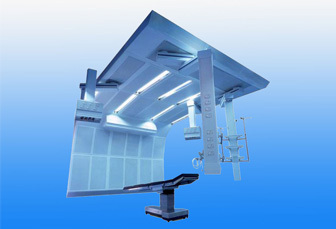 Ample access around patient is afforded with this ceiling mounted system. 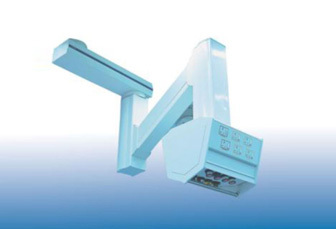 Multi Purpose Pendant 135 D/S is able to provide additional gas and electrical outlets to meet end users requirement. The MPP serves as both fluid and equipment management, it contains rails and shelve to eliminate the use of trolleys. 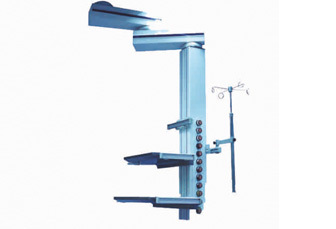 The medi-rail system is able to hold detachable drip stands and accessories such as baskets and ancillary equipment. The slim design of the MPP gives wider working space around the patients. The MPP gives easy access to all services during maintenance and troubleshooting. The Surgeon Pendant is specially designed to provide faster, safer and more efficient access to medical gases, AGSS and electrical services in the operating room. Mounted on the patented OR 5000/3500 ceiling fixture, its modular configuration enables easy upgrading without major work interruption. Provides a large coverage area. Double arm alternatives offer flexibility to accommodate the needs of the operating teams for multiple work configurations. Its modular construction minimizes downtime in the OR during inspection and service. The non-ageing Teflon gas hose provided is long lasting and maintenance free. 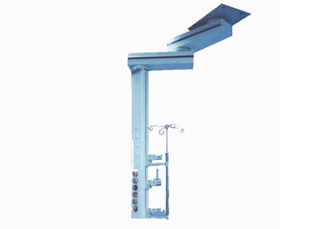 Equipment Management Pendant - EMP180D/S The ICU/CCU Equipment Management Pendant (EMP) is designed to be ceiling-mounted ensuring best possible ergonomics. This design provides much improved patient access over conventional mounting systems. It reduces the problems of congestion and possible hazards associated with trailing hoses and cables. Its integrated system incorporates rails and shelves to eliminate/reduce the use of trolleys, and allows for easy cleaning of floor areas. 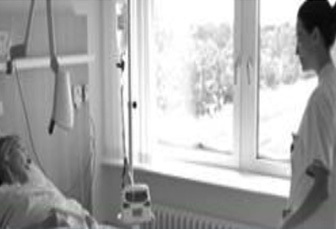 The movable arm system allow it to be positioned at strategic locations besides the patient bed. An aesthetically pleasing environment is provided for patient care services. Specially designed to permit full view of patient and staff. The EMP gives easy access to all services during maintenance and trouble-shooting. It can be configured to the specific requirements of each customer. Fluid Management Pendant - FMP180D/S The Fluid Management Pendant (FMP) primarily as a support for fluid administration. Eliminates / reduces the need for separate drip stands, hence creating a safer and neater work environment. 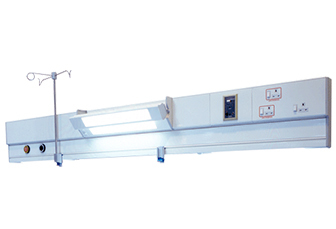 The FMP is ceiling mounted and ergonomically designed providing superior patient access and mobility. Fully equipped with electrical services to power one or more infusion pumps or other equipment. The configuration of rails can be fully customized. Its modular system enables easy upgrading. 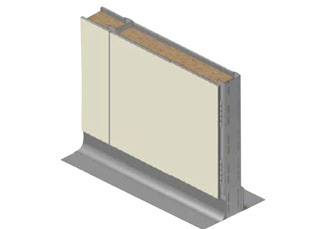 Modular extruded aluminium section provides a wide range of configuration by just adding modules to the existing panel. This minimizes upgrading down time as no major work interruption is involved. 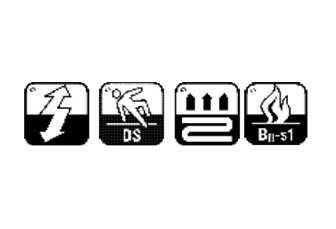 Incorporates MediRailä system for easy support of equipment and accessories. Easy removal of the front plates, top cover and pipeline cover offers convenient access for maintenance purposes. Separated electrical and gas compartments comply with international safety standards. ;Smart Nurse Call” System is tailored to real life situation in Hospitals and senior care home , maintain the full proof security and reliability .Provides instant communication to patient in all time .Regardless of location creates a more comfortable working environment. Allows instant access to detailed records of daily events . 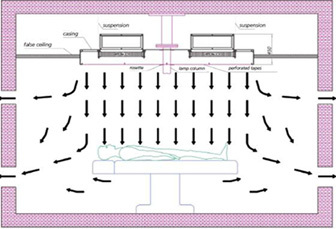 Guided Airflow system-GAF ( Low Height OR): The patented Guided Airflow Ventilation System operates based on the principle in which the air supply is directed diagonally towards the operating table on the clean side of the room and exhausted out on the contaminated side of the room. It incorporates slit ventilation, which has a booster-fed air jet. This newly developed slit ventilation system with the incorporation of booster-fed air jet is located at the intersecting area between the vertical wall and the horizontal ceiling on the clean side of the room. The guided supply air system with slit injection was developed in Sweden in the late eighties and has undergone full-scale laboratory test at the Royal Institute Of Technology (KTH) in Sweden. Full-scale clinical trials have also been carried out at Ryhov Hospital, Jököping, Sweden, with staff and equipment, as well as in various types of operations and instrument table-laying arrangement. The experimental results have been published in international journals and widely recognized. Laminar Flow Ultraclean works with a vertical, turbulence-free displacement flow and fulfils the requirements according to cleanliness class 5 according to ISO 14644-1 in the working area. 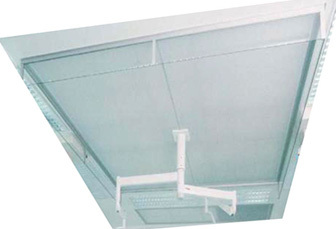 Air is slipped through terminal HEPA ( High Efficiency Particulate Air) filter in the ceiling .The Minimum size of the filtration area should be 8’X6’ to cover the entire OR table and surgical team .The return air should be picked up taken out from the exhaust grill located near the floor level ( approx. 6’ above the floor level) .HEPA filter of efficiency 99.97% down to 0.3 microns or higher efficiency are to be provided in the OR . 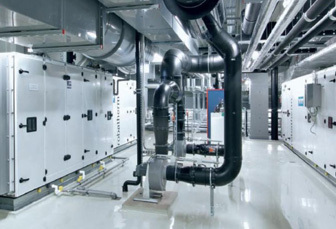 DIN 1964 Ventilation and Air-conditioning system in the Hospitals as a guidelines to be maintained .Specially constructed to air-conditioning the Operating rooms , clean rooms , laboratories, pharmaceuticals and electronic facilities. An HVAC system functions to provide an environment in which these four factors are maintained within desired ranges. Automatic Hermitically Sealed Door and Manual Sliding and Flush Door . 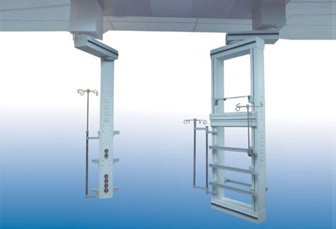 HPL with Puff door with or without Kick Plate ,or GI with Puff with Kick plate and viewing window is more popular door in the Modular OR . Rebated or non rebated Doors with SS304 or SS316 or with HPL or GI with Puff. Doors with internal reinforcement with Kick Plate. Doors frame fully covering the Wall. 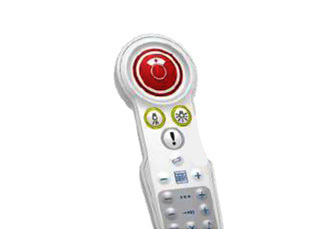 Sliding Manual or Automatic doors with optional control mechanism with Magical movement. 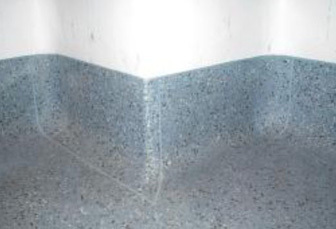 We provide Antistatic 2mm Thick Vinyl flooring , which is fire proof , antimicrobial , stain proof and skid resistance . These floor will not chip off falling sharp instrument very easily . 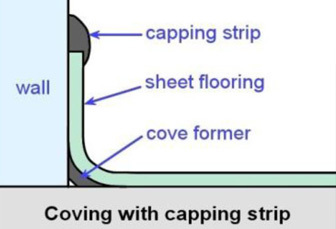 Copper Strip can be laid based on the specific requirement. 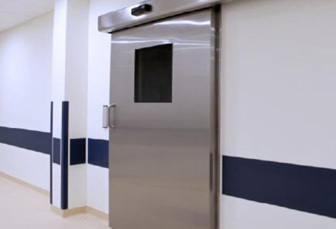 These floor material are suitable in OR , ICU , sterile corridor , non sterile corridor and many other relevant part of the hospital , Pharmaceutical and ESD protection work area. All our products are EN 14041 certified as per European CE certification. The installation process of an ideal Vinyl Flooring is always important and critical to get the 100% satisfaction of the product ! Zero leveling or self leveling is mandatory before laying the vinyl floor with copper meshing . Clinical & Digital changes happened inside OR once the MIS revolution started since 1990’s ! The innovative MIS surgeon demanded more advance operating technique at the same time real time display, storage of the surgical procedure inside and outside the operating Room , transform their complicated understanding in a very simple format , this approach makes them more focused towards the surgical art and innovative surgical approach to the gold standard procedure to cut down the surgical time and healing process of the patient . 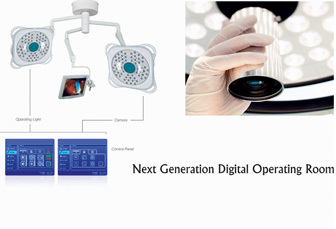 The Video over IP concept enable to bond all OR devices( Operating Light , Camera system in Light , Monitor ,Operating Table , ESU etc.) in an integral way and operating all the devices from a single console to have better and accurate control . 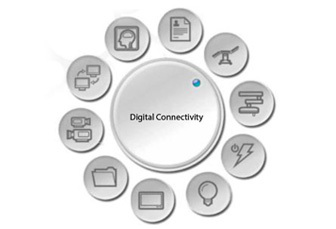 Managing Audio and Video communication with free or very less Latency enable OR into the Mobile and Desktop platform across the globe .This technology enhances in 4k platform with the help of Optical fiber technology inside the Hospital , either in conference room , Doctors training area or the Patient relatives waiting area , which manages DATA and Images on a flick of a second! This platform creates lot of transparency between the Hospital and the Patient. Consist of 3 ISO containers that are docked together through specially designed docking channels for secure fit. 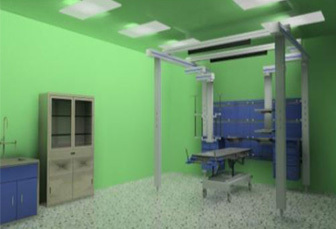 This unique design creates a larger size operating room as compared to a common mobile operating room. 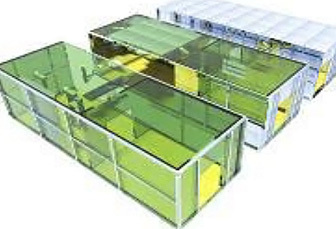 Adhere to ISO container standard in external size, 30 feet (L) X 10 feet (W), for facilitation of transportation using normal low-bed truck and standard crane. Fully compliant to hospital requirement (HTM 2025, HTM 2022, ASHRAE). Installed and made fully functional within a short period of 3 hours. First of its kind worldwide, a fully functional operating room is separated into two halves during transportation. Compatible to conventional operating room in size and ceiling height, and fully meeting standard operating room hygiene requirements. 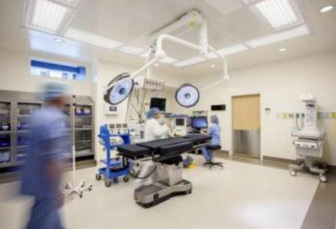 Fully equipped with Johnson Medical Operating Room Support System (Patented Guided Airflow Ventilation System, Ceiling Fixture, Multi Movement Ceiling Pendants). Maximum flexibility for cabinets and shelves mounting through MediRailsTM System (patented). Other components as featured in the Johnson Medical Operating Room.